PICK OF THE WEEK May 5 Jonathan Richman The Waiting Room Lounge, 6212 Maple St. 9 p.m., $13, waitingroomlounge.com Jonathan Richman’s most visible entry into mainstream culture came nearly 15 years ago in the 1998 comedy There’s Something About Mary. Richman plays the role of occasional singing narrator whose songs serve to reflect the emotional state of Ted, the boneheaded protagonist portrayed by Ben Stiller. When Ted is hopeful, Richman sings about hope. When Ted is desperate, Richman sings about desperation. While this cameo is entertaining enough, it merely scratches the surface of Richman’s versatility as a songwriter. Through his career with the Modern Lovers and his decades as a solo artist, Richman’s music has spanned not just a wide array of emotions but also covers a variety of subject matter. There’s no telling whether a Jonathan Richman song will be about a beach party or the nature of human suffering until you listen to it. All this gives his music an ephemeral quality that while great to listen to is even more fun to discover. 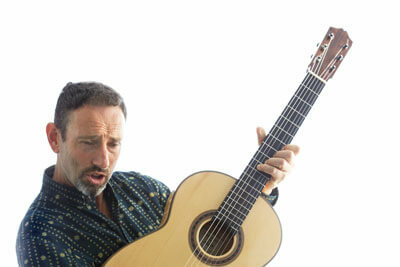 There will be two chances to discover Jonathan Richman in the area. The first is May 4 at Knickerbockers in Lincoln, and the second is May 5 at The Waiting Room. You owe it to yourself to make it to one of these shows.